In the United States, an estimated 1.5 million people have Parkinson’s disease (PD). Approximately 60,000 new cases are diagnosed each year and statistics show that men are slightly more likely to develop the disease than women. If Parkinson’s disease affects an individual seriously enough, it may qualify the individual to receive Social Security Disability (SSD) benefits. Parkinson’s disease can be an extremely debilitating disease. It is a progressive disease caused by degeneration of nerve cells in the part of the brain called the substantia nigra, which controls movement. Parkinson’s disease causes nerve cells in the brain to die or become impaired, resulting in the brain losing its ability to produce an important chemical called dopamine. Dopamine production is important in the brain because it helps coordinate nerve and muscle cells that are responsible for making the body move. We also understand that most applicants are not in an ideal situation financially. If you use the services of Bemis, Roach and Reed, you don’t have to worry about paying for representation and then losing your claim. The only fees we collect are a percentage of the back benefits you receive. This means you are not expected to pay upfront and you are not expected to pay if we cannot win your claim. While Parkinson’s disease usually develops after the age of 55, approximately 10-20 percent of those diagnosed with the disease are under age 50. Parkinson’s disease also may affect people in their 30s and 40s. When someone who is 21-40 years old receives a diagnosis of Parkinson’s disease, it is referred to as young onset Parkinson’s disease (or sometimes early onset Parkinson’s disease). The symptoms of young onset Parkinson’s disease track those of standard Parkinson’s disease. However, young individuals may have more involuntary movement problems due to the side effects of certain medications (such as levodopa). The Social Security Administration (SSA) recognizes Parkinson’s disease as a condition that may create a disability for purposes of Social Security Disability (SSD) eligibility. 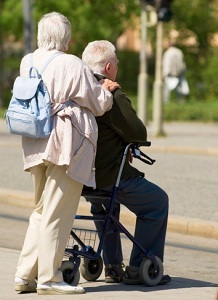 To be eligible for SSD, an individual must be under 65 years old and have paid into the Social Security system. When the SSA evaluates a Parkinson’s disease disability claim, the agency looks at whether the disease creates a total disability for the individual and prevents the individual from engaging in his or her work or in any other type of work. SSD benefits determinations usually take between three and five months, so it is important for an individual with Parkinson’s disease to file for benefits as soon as he or she cannot work. Additional time may be required if the claim information is incomplete. Also, initial disability claims are often denied (usually because the individual filing does not have any experience with the SSD system). A denial of benefits may be appealed, but this will add additional delay in receiving a benefits paycheck. To make the SSD application or appeal process go more smoothly, many people in Texas hire an attorney who is experienced in handling SSD claims and appeals. If you are in Central Texas, Travis County (Austin), Bexar County (San Antonio), Harris County (Houston), or the Dallas/Fort Worth metroplex area, please call Bemis, Roach & Reed now at (512) 454-4000 or Fill in our contact form. We are here to help.